Detoxing our home can be just as important as detoxing our body, and I’ve got 6 ways to detox your home in today’s post that will help you create a healthy, non-toxic space. 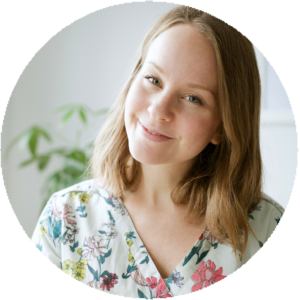 We’ve all heard about detoxing by now, and I’ve certainly talked a lot about it here on my blog and in my videos, but something that can get overlooked is the toxicity of our homes. The air we breathe and the ingredients in the products we use can all have a huge impact on our health. Organs like our liver, kidneys, and lungs are all working to constantly remove harmful or unwanted waste, but it can be a lot to handle when we’re inundated with various chemicals left, right and centre. From household cleaners to air fresheners, our homes can become quite polluted and that’s when doing a little house-detox is in order. Detoxing our home is all about reducing the amount of toxins that reside right there with us so we can breathe better, eat better, and live better. Here are 6 ways to detox your home. Conventional household cleaners like window cleaners, toilet bowl cleaners, tile cleaners – you name it – not only contain different chemicals that can be endocrine disruptors, skin and respiratory irritants, but they can easily be replaced with safer alternatives. 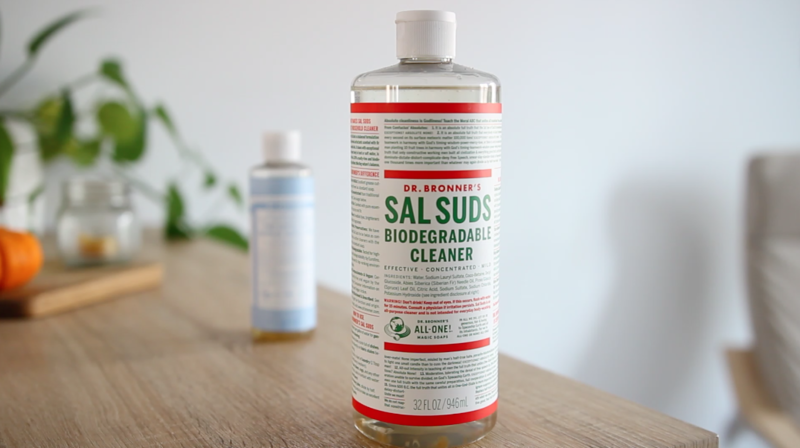 I love Dr. Bronner’s Sal Suds for all-purpose cleaning because it’s incredibly versatile, which means you don’t need a different bottle for every single surface! It’ll clean your floor, your counters, your toilet, your tub, your tiles, and it can even be used for washing dishes and laundry. Or, make your own DIY cleaner! There are tons of recipes out there, but a really simple cleaner is baking soda + water. You’ll need 1tbsp baking soda per 1 cup of water. Mix, and you’re good to go! 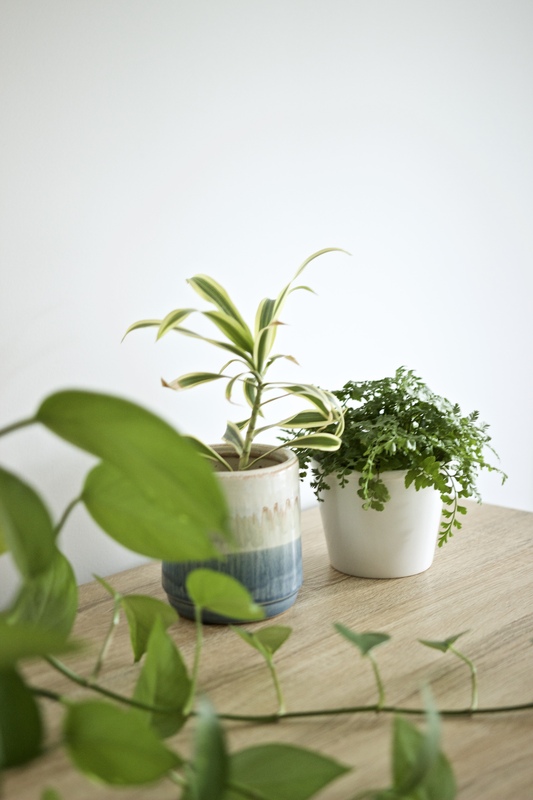 I love my houseplants, but not just because I adore caring for them or being they add beautiful greenery to a room: certain houseplants help purify the air we breathe. and snake plants to name a few! The colder season is upon us here in Canada which means many months of hibernating indoors with stale furnace air. BUT that doesn’t mean we can’t still open up windows for a short period of time every couple days. 🙂 No matter what time of year, give your home a good breather by opening windows whenever possible and letting the air circulate. I don’t know about you, but although the AC can come in handy on super hot, humid days during the summer, I still often prefer having windows open instead! Air fresheners may smell nice, but what you’re inhaling isn’t so nice. Choose essential oils instead, or learn to love the smell of nothing because clean doesn’t mean scented, clean is odourless. Simmer on low and your home will soon smell of all the wonderful things this world is made of. When it comes to storing and re-heating food, glass is best as plastic containers can leach harmful chemicals into your food. Glass also lasts longer, is more durable (granted you don’t break them!) and doesn’t create any residual taste. I’ve been using beeswax candles over paraffin wax candles for years now. The standard candles you buy at the store are usually paraffin-based which is a byproduct of petroleum and can create harmful compounds when burned. This is a recipe for indoor air pollution, especially when you add synthetic fragrances on top of that! Soy is another better option, but I prefer beeswax candles as they burn brighter, longer, and are completely non-toxic. What’s one thing you do to reduce toxins in your home?